The Golden Technologies MaxiComfort introduces a new concept in seating comfort thanks to its "Zero-Gravity" positioning ability that can improve circulation, control pressure and enhance comfort. 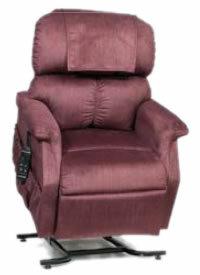 The MaxiComfort is the most comfortable, popular, and most reliable seat lift recliner available today. 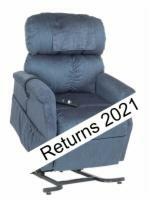 Featuring luxury chaise lounge padding, the SmartTek Diagnostic System, and the Golden Lifetime Warranty. 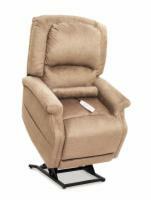 Golden Technologies is the only manufacturer with a lifetime warranty on three major components (Scissor Mechanism, Wooden Frame, and Lift Chair Mechanism). Seat to Top of Back: 22.5"
Betty from Florida would recommend this to a friend. 73 yr old woman and I have problems with edema and back pain. You have made me so happy. It's about time they have made chairs for women under 5' tall. Thank you. It has been very hard through the years trying to find a chair that fits my body comfortably. 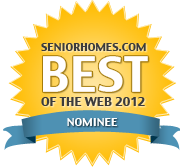 It certainly has been a long time coming and I, along with thousands of others, thank you. Just thrilled to find a product that is made for woman under 5' tall.